Check all Events that you want to be able to trigger from tenHsDesktop. 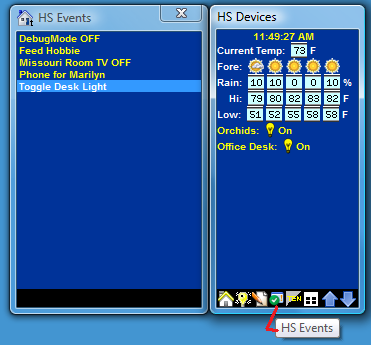 As you check an Event, it will be displayed in the Events panel. If you have not yet configured when and how you want your selected Devices to be displayed in the Devices panel, browse to the Device Display Configuration page.